Emotive and tendentious, perhaps, but the splicing of these two preceding narratives—one derived primarily from press releases, the other taken from Patricia Benner’s moving personal account, ‘Seeing the person behind the disease’, in The American Journal of Critical Care, 2004—is intended to draw attention to two fundamentally incongruous discourses. This evident disparity between public announcement and private experience betrays a crisis, and that crisis provides a frame for Donachie’s and Borland’s works for the new Centre for Health Science in Inverness. These works are, admittedly, driven by different imperatives, and arise from differently articulated interests. 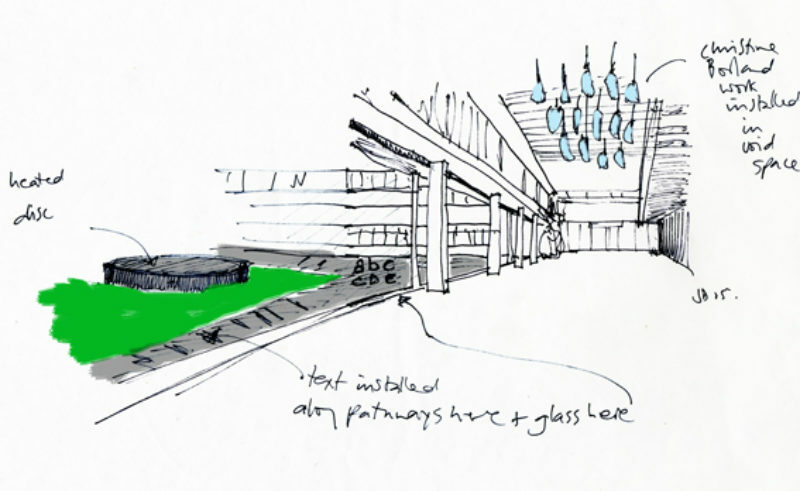 Where Donachie’s is immediate and pragmatic, originating in response to the local and particular circumstances of the new centre, Borland’s is historically evocative and speculative, relating closely to her 2001 commission for a sculpture in the grounds of Glasgow University, ‘To Be Set And Sown In The Garden’. They nevertheless share a common concern with issues arising from the assimilation of institutionalised medical practice into the patterns of everyday life, especially insofar as these determine attitudes towards the patient’s body. The scientific foundations for modern medical practice thus placed great emphasis upon the kind of empirical evidence verifiable by sight. But this bias rendered other kinds of knowledge non-admissible. The problem here is that, as Holmes has pointed out, ‘an evidence-based, empirical world view is dangerously reductive insofar as it negates the personal and interpersonal significance and meaning of a world that is first and foremost a relational world, and not a fixed set of objects…’ To offset this reductive drive, Holmes and his co-authors suggest instead an exploration of ‘the multiplicity of what Foucault describes as subjugated forms of knowledge…’ These forms of knowledge are often disqualified for being unscientific, naïve and generally inferior, arising from ‘below’ rather than imposed from ‘above’. Such knowledge is ‘a particular knowledge, a knowledge that is local, regional, or differential’. It is, perhaps, a form of knowledge known to certain practices of art. In producing unassuming utilitarian objects that may even be overlooked as ‘art’ (outdoor planter tubs—heated by excess energy from refrigerators in the research area—on which patients can sit and rest; door handles designed with disabled users in mind) Jacqueline Donachie redirects attention to the wider physical environment inhabited by the centre’s users, reasserting the importance of relational experiences within this setting. In attending to the internal and external physical environments (she had also designed flower-beds and outdoor wheelchair areas) Donachie also makes the patients newly visible as individual agents, rather than objects of enquiry. Released from the scrutiny of the ‘clinical gaze’, they are encouraged to inhabit and interact with the grounds of the centre with relative ease and freedom. Here they may be seen by the scientists and researchers who also occupy the building. Thus the demands of medical science and the patterns of daily life are reconnected through a kind of aesthetic management of the wider environment that encourages a casual, informal exchange of glimpses, glances and incidental moments of seeing. In this sense, Donachie is perhaps reclaiming something of the ‘subjugated knowledge’ from the lost world of traditional or folk medicine, in which patients were treated in an environment that is familiar, comfortable, and non-threatening—typically, the patient’s home with family and friends present to provide support. In contrast, doctors often report that patient blood pressure measurements in their offices are higher than normal. This ‘white lab-coat phenomenon’ is very likely a result of increased patient anxiety brought about by the intimidating environment and situation. 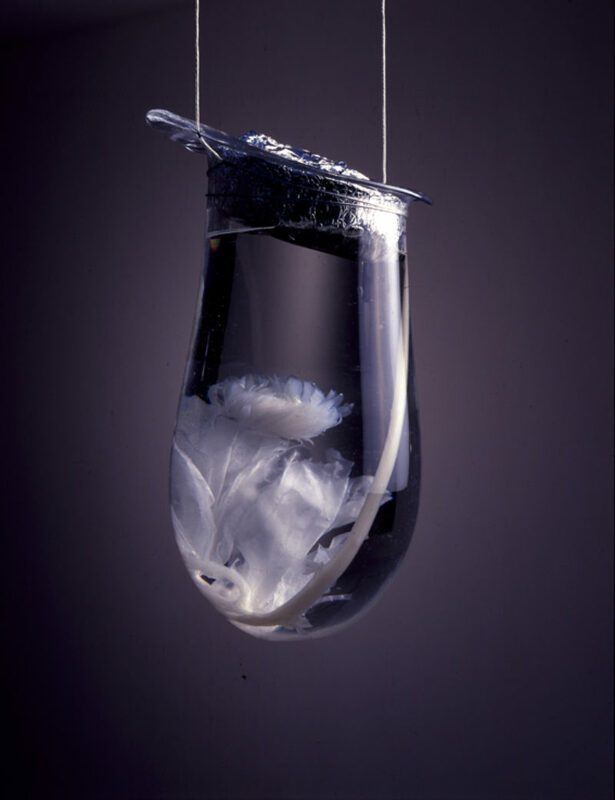 Christine Borland’s ‘Ecbolic Garden, Winter’ might also be thought of in terms of a partial return to ‘subjugated knowledge’, to the world of herbal medicine in particular. Ecbolic plants are those known by herbalists to be capable of provoking an abortion, and Borland’s work was inspired by notes made by the aforementioned Rev Mark Jameson in the mid-16th century on the back of his pocket version of Fuch’s ‘Herbal’ First published in 1542, Leonhart Fuchs’ Great Herbal (De historia stirpium commentarii insignes ) is noteworthy for its wood-engraved illustrations. As William Ivins has suggested, it was the ability of the printing press to produce such ‘exactly repeatable pictorial statements’ that revolutionised the spread of technical and scientific knowledge, especially—thanks to the printed herbal—in the field of medicine. It also meant, however, that such knowledge became standardised, universal and transferrable into any situation. Jameson’s notes suggest that he was planning to plant a physic garden at Glasgow University, which, if carried out, would have been the first of its kind in the United Kingdom. At the time (1555) Jameson was a student who served as Rector’s Deputy, when the University was situated close to Glasgow Cathedral, thus Borland’s work locates the question of abortion and the control of women’s reproduction at a point where the powers of the Church and the University converge. The potential for another form of ‘subjugation’ is thus suggested here, one deeply rooted in history. During the early Middle Ages, apparently, there were as many women involved in medicine as men. But the professionalisation of medicine in the later medieval period, and the development of university faculties of medicine excluded women from the profession. After the 14th century, women continued to operate within the field, but usually as midwives. The only qualification required was a statement from a parish priest declaring that she was of good character. ‘I have a great interest in how people physically interact in public spaces, and how people socialise with each other. It’s the way my work’s gone for the past ten years. Pretty much all the things I do are in some way informed by a social event, whether it includes two or 200 people. Often what I make looks quite minimal, but there’s always the intention that it will be used by people in some way or other, which I prescribe by having an event. The work comes from a feeling I would like other people to share. In Darnley (Glasgow, 1999), for example. I wanted people to dance on a hill with the sun going down, and the sculpture and everything else came from that feeling. 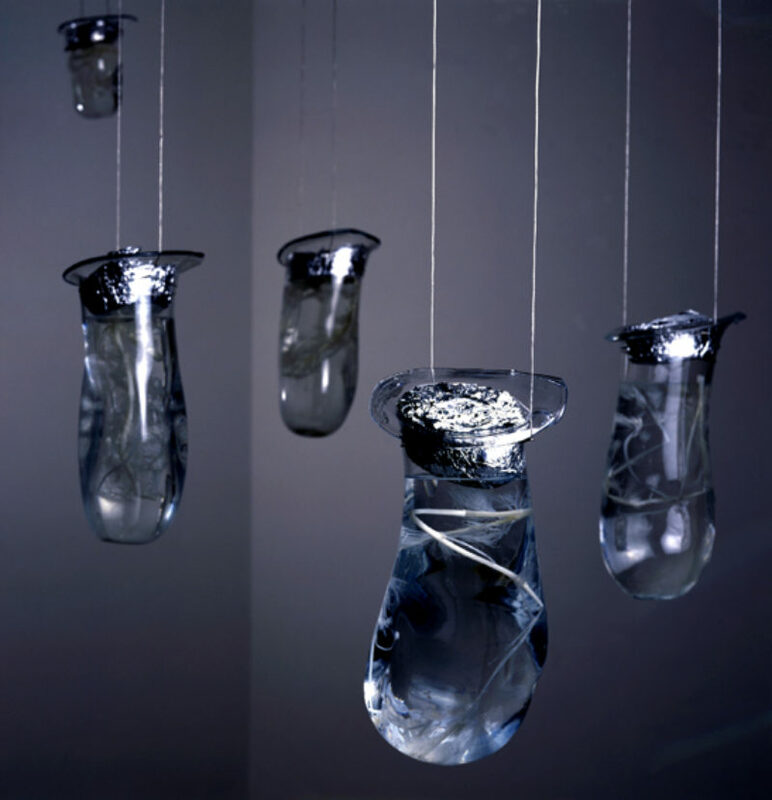 An installation at Spike Island in Bristol (2002), came out of the fact that the building, which houses artists’ studios, is so cold in winter. I’d worked at typical artists’ studios, which are freezing in winter, with everyone huddled round their own Calor gas fire in their own room. So I wanted everyone in Bristol to stretch out. What could I make that would give this form? It’s important what the thing looked like, as it couldn’t be a nice, cosy common room. Like the disc at Darnley, this was also quite minimal, but the whole thing is about it being indestructable and beautiful yet heated and warm, something to stretch out on in that big, cold space. I made the benches for the Hunterian Museum exhibition to encourage people to sit down in small groups and talk. I had become interested in genetics and felt that people needed to discuss genetic disease quite directly. Families need to talk. They need to tell you what’s happened to their sister, or mother or brother. My interest in genetics stems from when my own family were all diagnosed with a genetic illness about eight years ago and I wanted to look into how people socialise around genetics and medicine. I realised that the individual can be diagnosed medically, but that the bigger picture of the family tree and history are important too. You need to trace family members and collate the data. That was the side I was interested in. In my head I tried to marry that medical angle with the sculptures I’ve always been interested in—sets and and stages, all quite minimal, no props, no people. 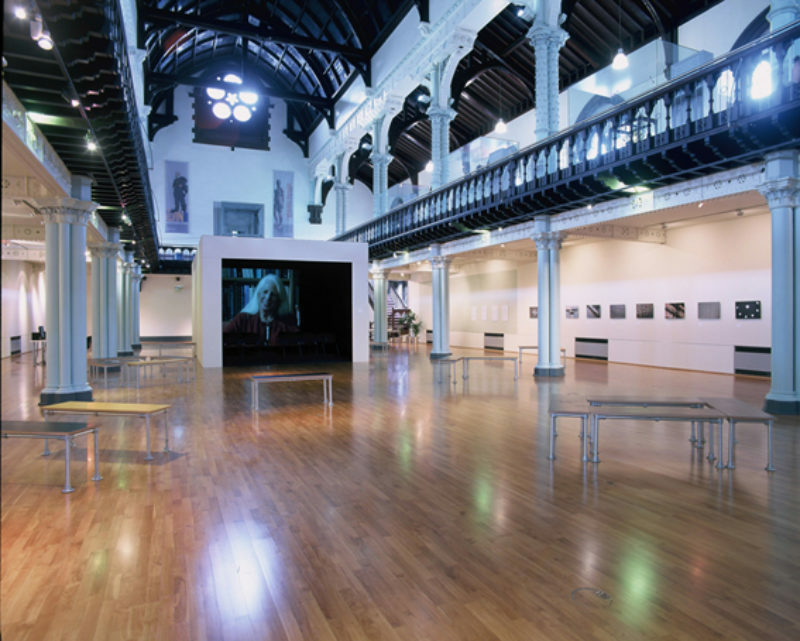 The Hunterian exhibition was the first stage in that process, the Inverness project the next. The Inverness project isn’t specifically related to genetics, but has a scientific/medical angle because the building is being used for research and medical training. I have focused on the main social areas, which can be overlooked in a building with specialist use. Different parties who use the building to do their own thing come together in these areas. My interest in genetics made me realise that doctors speak to patients and scientists, but patients don’t often speak to scientists. There isn’t a threeway communication. Because of that, the scientists just seea cell sample, not a person. They are strictly looking for a cure, and that can take a heartbreakingly long time. The ability to isolate human genes in the 1980s only opened the door to more long roads of discovery. The Eureka moment is rare, so scientists only see the bleakest picture. They miss the good things. Take my niece. Her cells are terrible, but she’s walking, going to school, chatting. Her long term prospects aren’t great, but she brings everyone such joy right now. We all need to make sure we see what other people are doing in their lives. I’m a big supporter of comprehensive education, public transport, all the things that take you out of your car or your house and stop you from hanging out only with people like yourself. In medicine too, people should cross-communicate as much as possible. In Inverness I’ve been a filter for that—the one who goes to all the meetings and is independent. I can say, ‘Why don’t we make that cupboard a kitchen for staff,’ or, “Why don’t we make our own furniture rather than order it from the National Health Catalogue.’ I’ve got a budget and can spend it on improving the building in a variety of visual/social ways. 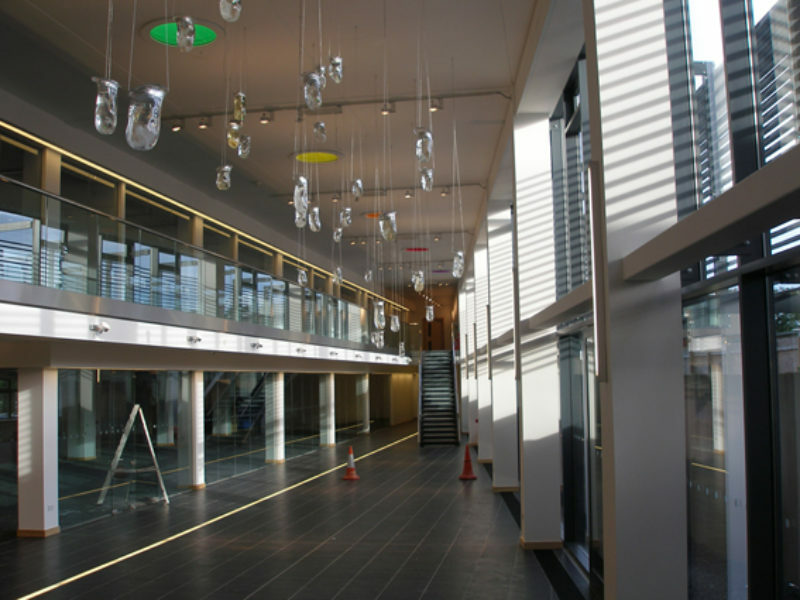 This Centre serves the whole of the Highlands, so it’s important that the doctors, nurses, students, scientists and individuals have spaces which allow crossover with each other. Then I can add art in a more conventional way. Christine Borland’s work is maybe not quite what they expected to get, but a lot of people really like it. It’s a good idea to hire an artist to be the lateral thinker on a project.